Posted on 08/20/2018 by Mickey McCarter	in Live Review and tagged Bat Fangs, Betsy Wright, Comet Ping Pong, glam, hard rock, Laura King, psychedelic. There are few concerts more fun these days than a Bat Fangs show, as Betsy Wright and Laura King reminded us at Comet Ping Pong on Thursday. The ladies blasted into a rollicking set that produced a rather euphoric buoyancy throughout the audience, who packed the room to catch Bat Fangs on tour with The Love Language. Posted on 01/19/2018 by Mickey McCarter	in Live Review and tagged Betsy Wright, Comet Ping Pong, Ex Hex, Flesh Wounds, garage, Laura King, record release party. Betsy Wright is the bassist for DC power pop trio Ex Hex. 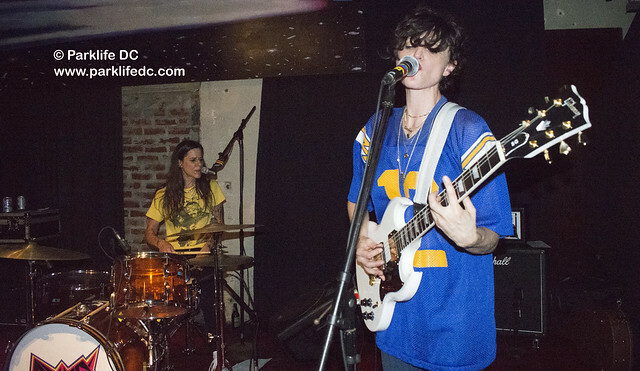 Laura King is drummer for North Carolina garage rockers Flesh Wounds. Together, they are also Bat Fangs! The band releases its debut self-titled album on Friday, Feb. 2 via Don Giovanni Records. 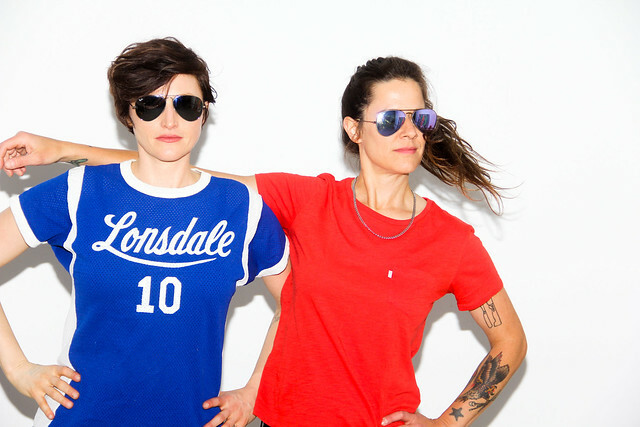 One week later, Sasha Lord presents Bat Fangs playing that new album at Comet Ping Pong on Friday, Feb. 9!